"Inspiring and Empowering marginalized women through courage, compassion, and community" Finding Our Way is an 8-week social and economic empowerment workshop that provides marginalized women with the opportunity, often for the first time in their lives, to come together in small classes to build support networks, share experiences and develop life skills. Women set goals and share with the group to create accountability. They often help each other find resources and solutions for common challenges. 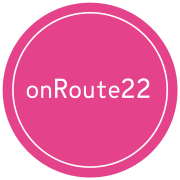 onRoute22 has helped more than 100 at-risk women find hope and dignity by providing empowerment workshops, teaching life-changing skills, and offering mentorship. The group dynamic allows for outside relationships to be fostered, helps create accountability and peer support. The woman's conversation is often dominated by the women’s lack of financial resources for basic needs. We started the social enterprise, Social-E to begin addressing this overwhelming hurdle, teach skills of self-sufficiency and map a future that includes planning and financial stability. This year we opened our onRoute22 closet on the fashion buying and selling platform Poshmark. or save for something else that they need. They photograph the merchandise, post on social media, monitor the inventory and are becoming computer literate. Developing social skills, a work ethic and team process is equally valuable. All marketable skills in today’s competitive job market.